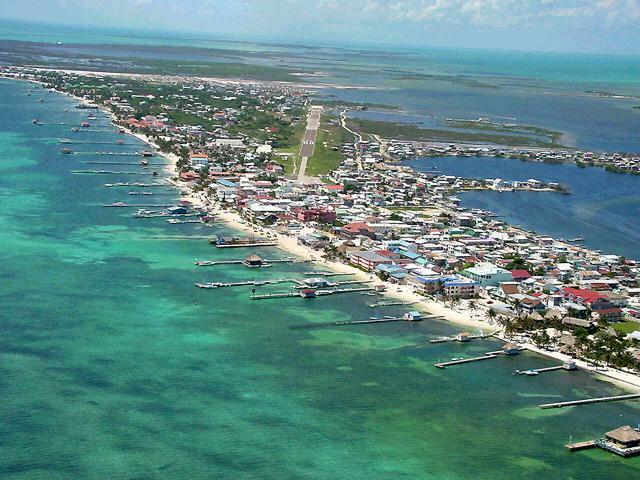 Belize is situated on the Yucatán Peninsula on the Caribbean Sea. Belmopan – its principal city – is one of the youngest and smallest capitals in the world. A warm climate, magnificent landscapes, numerous beaches, lagoons and coral cays (a small island on the surface of the coral reef), racial and cultural diversity, as well as rich history of the Maya peoples who used to live here, attract sailors from all over the world. Along the coastline there are numerous lagoons, while over a dozen of kilometres further into the sea there stretches a chain of hundreds of cays which create a coral reef. Few of them are inhabited, so their random visitors may feel almost like Robinson Crusoe. Belize offers perfect conditions for water sports: sailing, surfing or windsurfing, kiteboarding, diving, canoeing, or fishing. Ambergis Caye and Turneffe, two larger islands situated in the north, are extremely popular holiday destinations. We set sail on our cruise on Ambergis Caye in a tourist resort called San Pedro. Belize has a tropical climate with a short dry season lasting from February to April. High temperatures (average temperature per annum is 26 °C) and significant humidity (annual precipitation reaches 2000 mm) are attenuated by north-east trade winds. The winds most favourable for sailors blow between February and June, when they reach the speed of 12-20 knots. Through the rest of the year their speed is around 6 knots. A wet season lasts from June to October, while tropical hurricanes may occur in this region from the middle of September until the end of October. Undoubtedly, the main tourist attraction is the 300-kilometre Belize Barrier Reef, which includes amazing corals, fabulous sea flora, multicolour fish species and medieval shipwrecks. 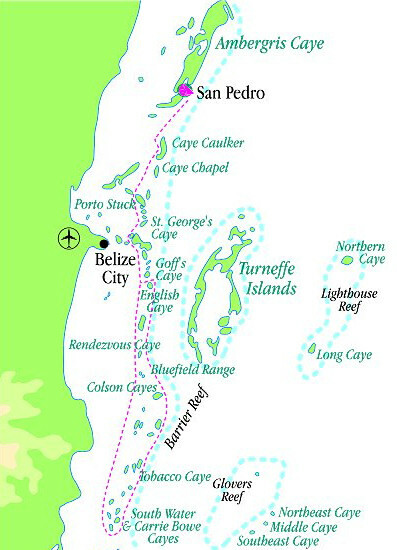 The Reef has two most attractive sections: the Great Blue Hole (a large submarine cave) and the Hol Chan (little channel in Mayan), its only natural break. The base in San Pedro on Ambergis Cay island is the best starting point of the voyage in Belize.